Hanoi (VNA) – Foreign arrivals to Vietnam have reached over 4 million so far this year, up 20 percent year on year, with an increase being seen in most tourist markets. 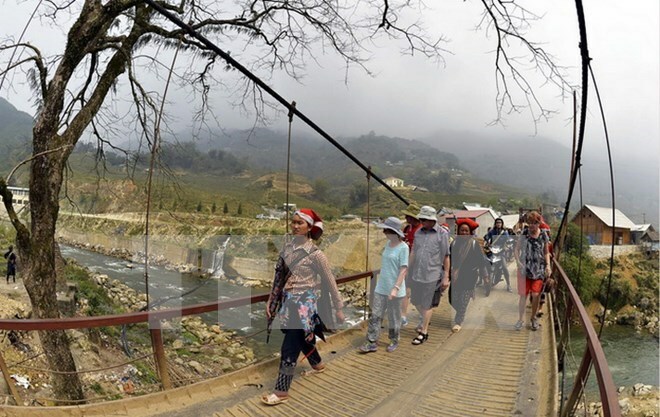 In May alone, Vietnam welcomed 757,244 foreign visitors, representing a drop of 4.1 percent over the previous month but a rise of 30.2 percent compared to the same period last year, the Vietnam Administration of Tourism revealed on May 26. Particularly, a surge was seen in the number of visitors from countries enjoying a visa exemption under the Government’s Resolution 46/NQ-CP dated June 18 last year, with Italy up 30.1 percent, the UK 24.4 percent, Spain 22.4 percent, German 17.6 percent, and France 13 percent. The administration also reported that the tourism sector earned more than 167.4 trillion VND (760 million USD) in the January-May period, up 20.7 percent over the same period last year. Meanwhile, the figure for domestic tourists in the first five months of this year is 27.3 million. It is predicted to continue rising until the end of the season in September. Beaches and mountainous destinations are forecast to be the most crowded places. Especially, Phu Quoc island in the southern province of Kien Giang is expected to lure a large number of visitors thanks to the Phu Quoc-Mekong Delta National Tourism Year 2016. At the same time, in its recent report, real estate services provider Savills Group said over 70 percent of foreign tourists choose Vietnam’s sunny beaches to spend their holidays. In the 2010-2015 period, Da Nang, Nha Trang province and Phu Quoc have enjoyed a surge of average 23 percent annually. These destinations lure about 30 percent of the country’s total visitors. In the meantime, the Vietnam Culture-Tourism Village of Ethnic Groups in Hanoi reported that it received 300,000 visitors, mostly Vietnamese, a rise of 50,000 compared to the same period in 2015.